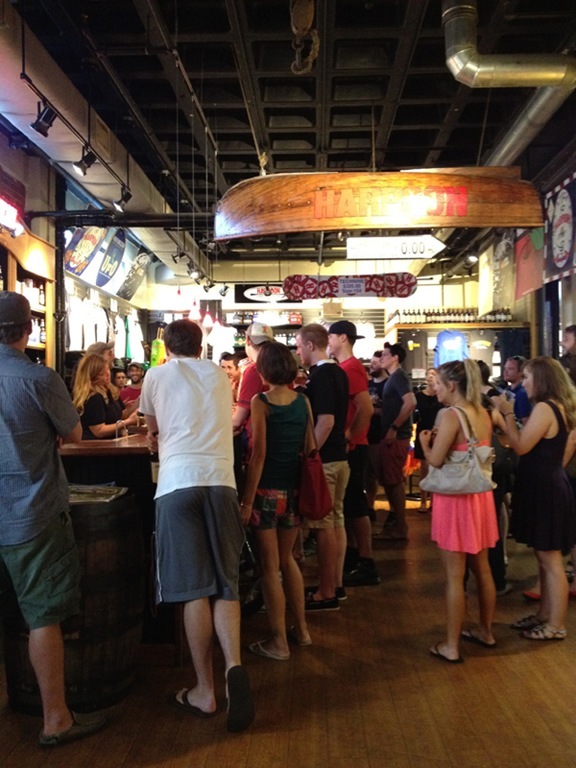 Have you ever been on a brewery tour? We have! 26 times in fact, all over the country. 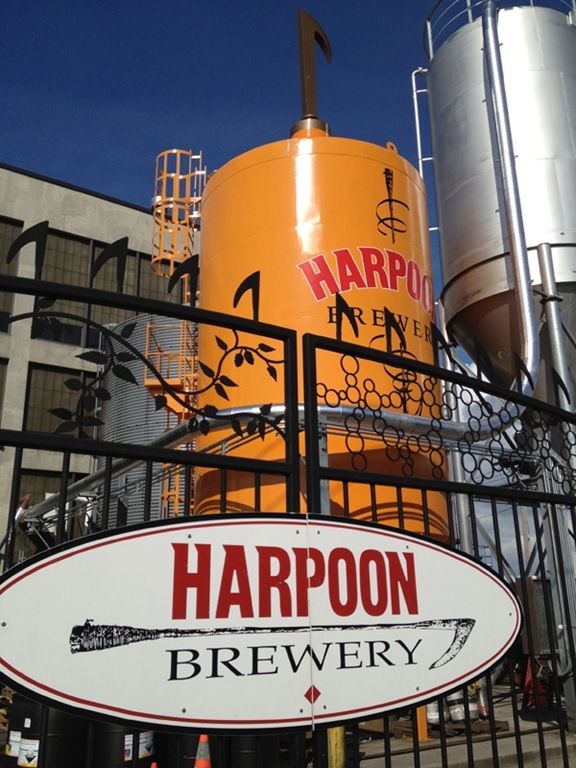 The Harpoon Brewery is particularly near and dear to my heart because it is located in downtown Boston – literally 5 miles from our house. 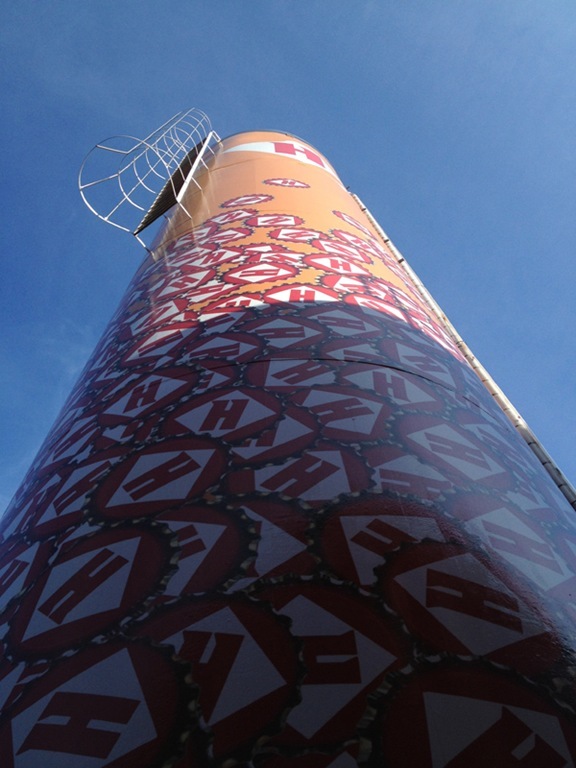 We’ve been to the Harpoon Brewery location in Windsor, Vermont and this was the second time I’ve been to the Boston location. 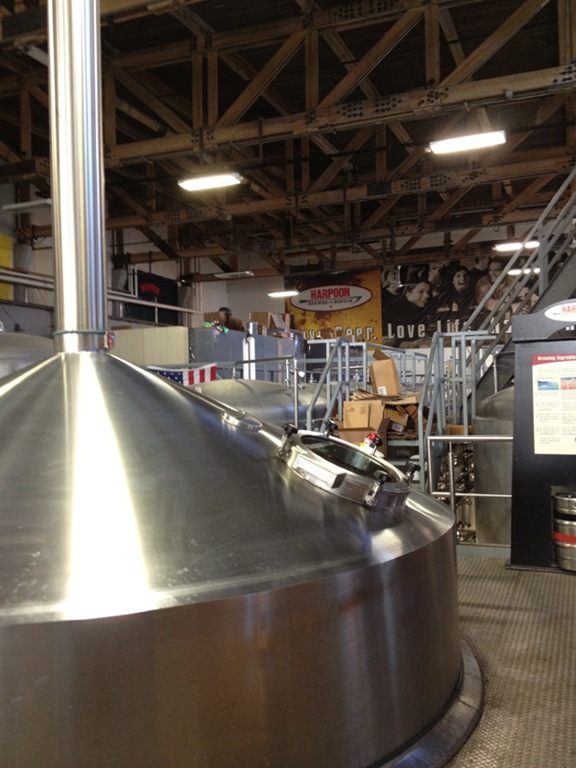 The tour was great, very informative and in depth despite the small size of the brewery. Our tour guide, Kevin, was funny, knowledgeable, and made us all feel like we’d been buddies forever. 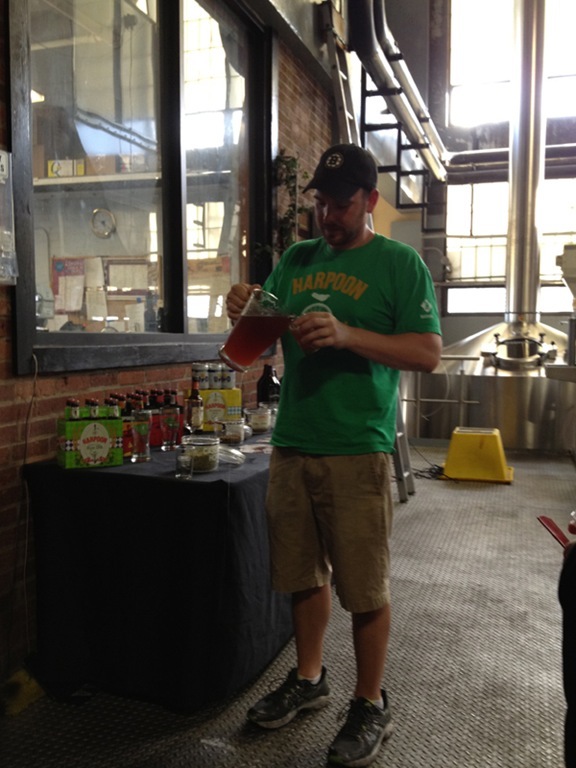 He poured us some Raspberry UFO and we were off on the tour! 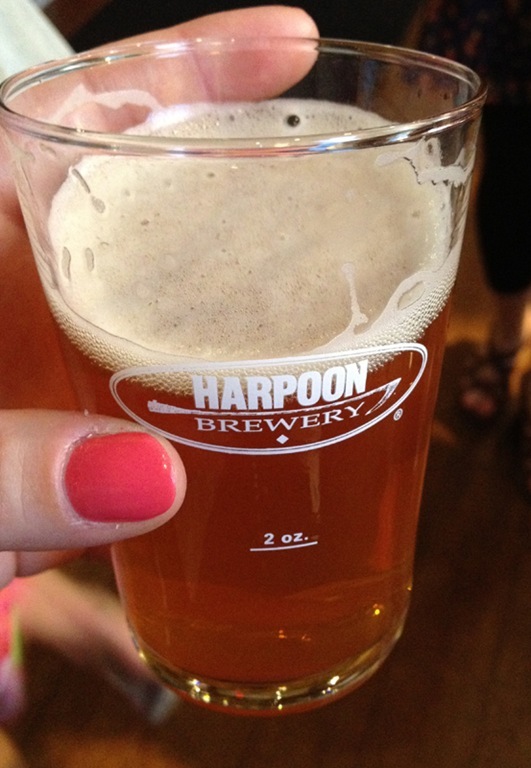 Harpoon was founded in 1986 and has been an important player in the craft beer movement in the US over the last 25 years. 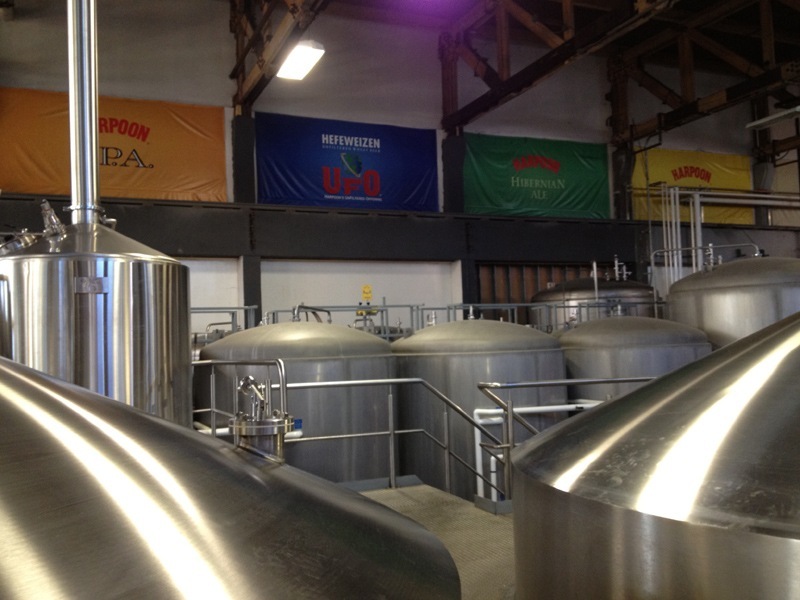 The brewery started with three founders and one brewer and now employs over 90 people. 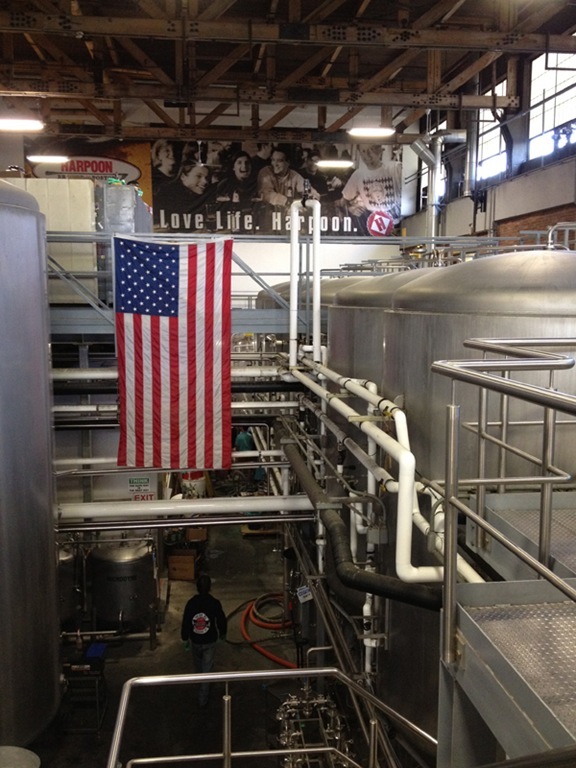 In fact, as of 2011, it was the 8th largest craft brewery in the US. That’s super impressive considering the competition (Anheuser-Busch, Sierra Nevada, Matt Brewing Co., and Deschutes to name a few). 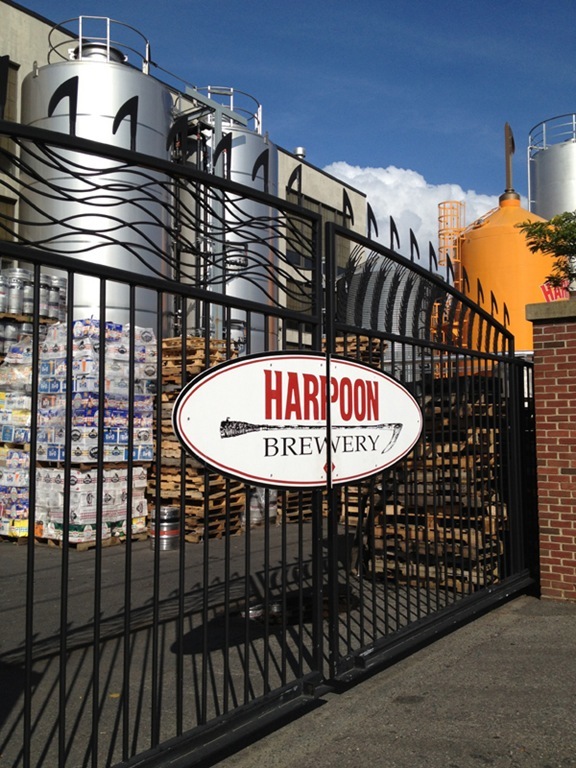 The majority of Harpoon beers are brewed, bottled, and distributed from the Boston location with only a small percentage coming from the Vermont brewery. 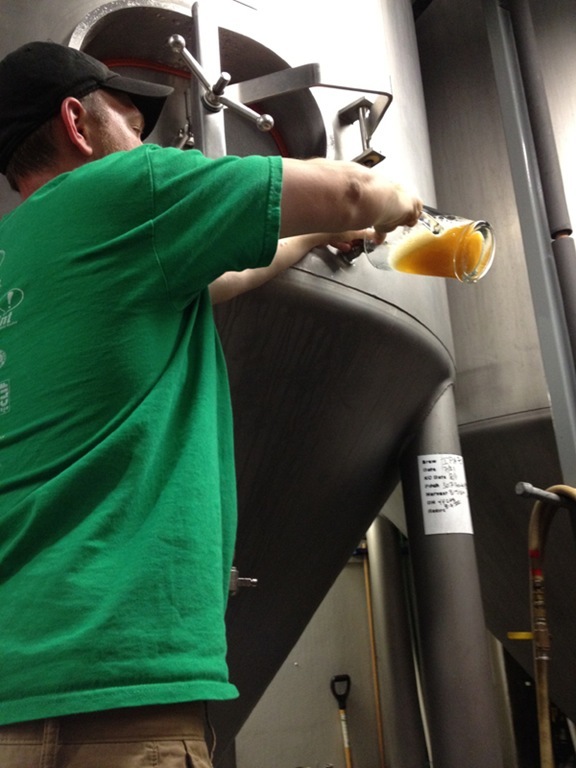 On the tour we got to sample “green” IPA, poured right from the fermentation tank. “Green” is the term used for maturing beer, one that has not completed its full fermentation cycle (or developed its full beer flavors) yet. It tasted hoppy like an IPA but much flatter. We later got to compare the “green” IPA to the finished and polished product served from the tap at the bar. The tap IPA was brighter and fresher. Subtle differences, a great exercise for any beer lover. 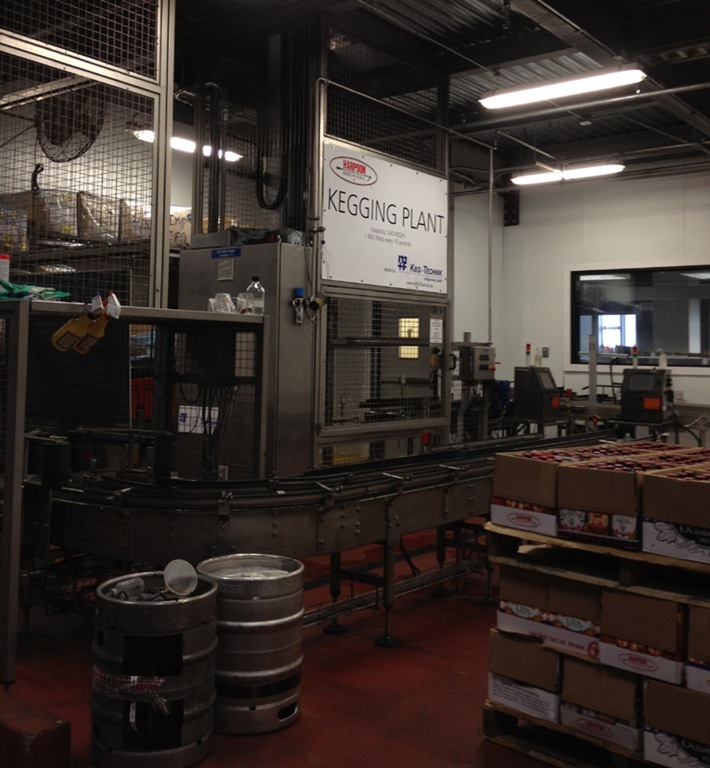 Bottling line, kegging plant, beer warehouse. 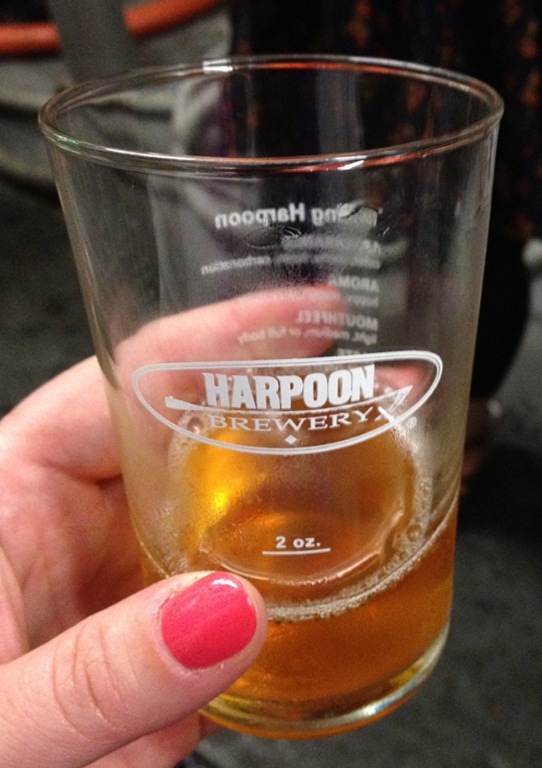 The final stop on the tour is the taproom where you’re free to sample everything Harpoon has on tap (about 10 different beers). 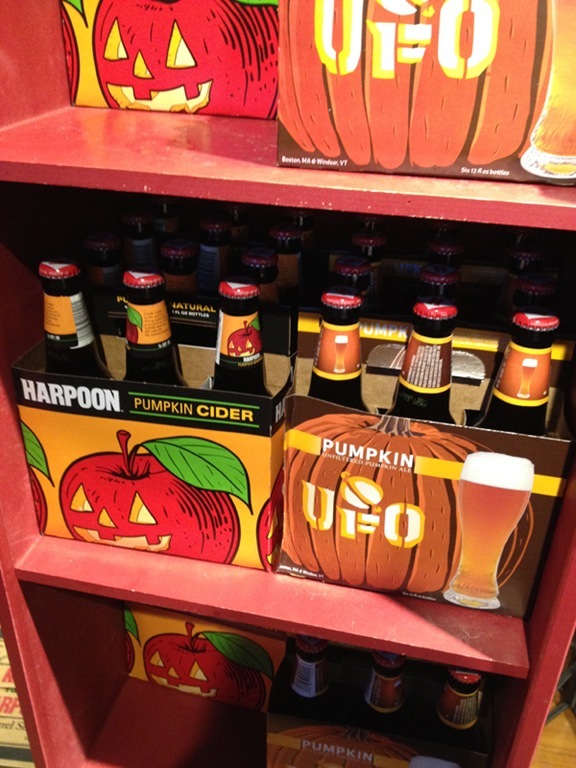 I opted for their apple cider and pumpkin ale. Both are superb, I highly recommend trying them. 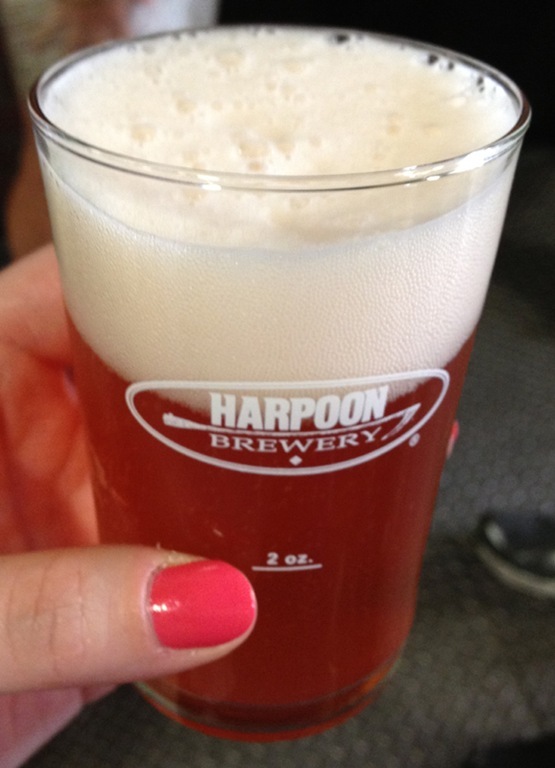 An excellent tour and magnificent product – I’d recommend Harpoon (the tour and the beer) to anyone. Do those 2 oz. sampling glasses look familiar? You may remember them from my Use It Tuesday blog post where I showed the creative way I’ve repurposed all of the brewery tour glasses we’ve collected over the years. Check it out! 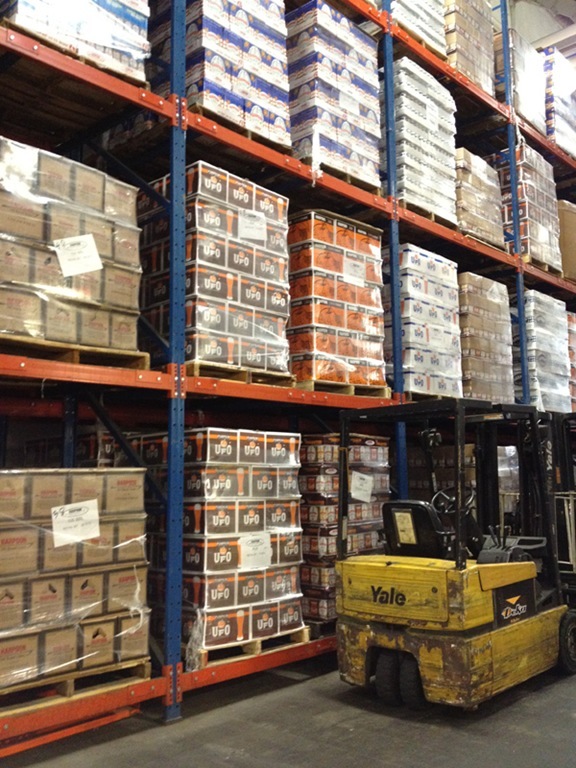 Yep, the fall beers are out in force around here. Shipyard’s Pumpkinhead is in the grocery store, and Gritty’s Halloween is on tap at their brew pub (the Freeport one, at least). 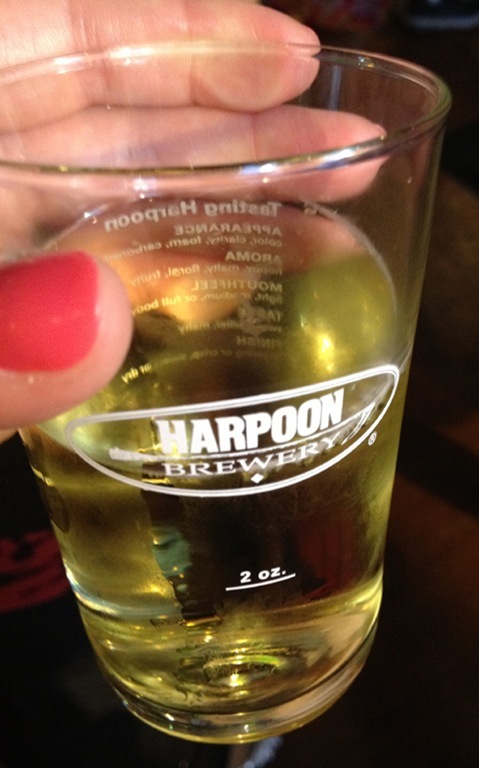 I’ll have to keep my eyes open for the Harpoon!